Kids love scary stories. 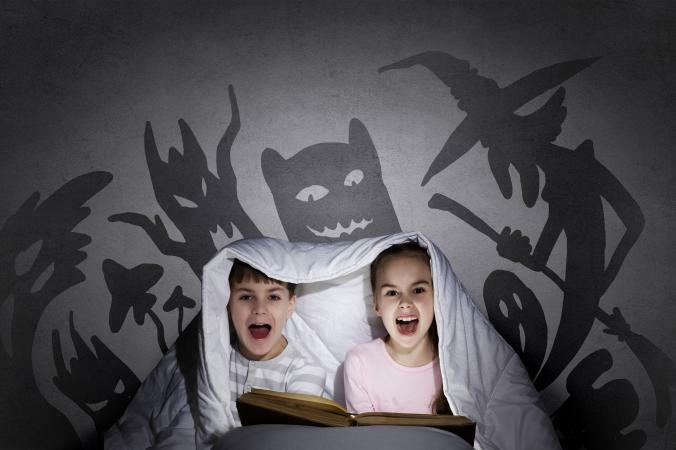 Whether the stories are suspenseful, deal with truly frightening things, or have them on the edges of their seats, scary stories are often some of the most well-read books among children. Finding age-appropriate scary books is a great way to keep kids engaged, making them into lifelong readers. These picture books are appropriate for preschoolers and early elementary students. The books are fairly gentle, so they shouldn't terrify their audience or cause nightmares. Written and illustrated by Maurice Sendak, Where the Wild Things Are has been a classic children's favorite for 50 years. The Caldecott Medal-winning book follows Max as he dons a wolf suit and gets in trouble at home. Sent to his room where a forest suddenly grows, Max has a fantastic time with the wild things that inhabit the forest. 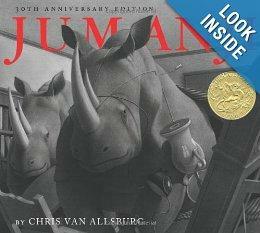 Another Caldecott Medal winning book, Jumanji is beautifully written and illustrated by Chris Van Allsburg. As in many of Van Allsburg's books, Jumanji connects fantasy and reality, taking his readers on adventures that are beautifully and darkly illustrated. In the book, two children left home alone for the afternoon begin playing a board game that comes to life around them. Throughout the course of the game, they face down a hungry lion, encounter a python, and run from a rhinoceros stampede. Written by Robert San Souci and illustrated by David Catrow, Cinderella Skeleton is a spooky twist on a fairy tale classic. As the title suggests, Cinderella is a skeleton, and she's headed to the Halloween ball with a little help from a good witch. The book has received multiple awards for story and illustration. Written by Eve Bunting and illustrated by David Wiesner, Night of the Gargoyles is an American Library Association Recommended Book for Reluctant Readers and a Bank Street College Children's Book of the Year award winner. The book has beautiful charcoal drawings that bring gargoyles to life as the narration tells exactly what gargoyles do at night. These books can be easily read by students who beginning readers, generally between first and third grades. They are still gentle and fun, but have scary elements that most kids will find thrilling. 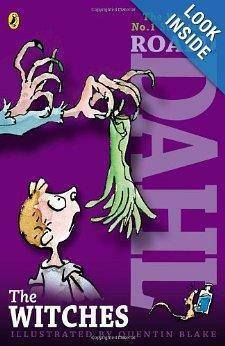 Written by best-selling author Roald Dahl, and illustrated by Quentin Blake, The Witches has won multiple awards including The New York Times' Outstanding Book Award. The plot revolves around a group of witches with a nefarious plan: to get rid of all of the children on earth. A young boy, whose grandmother has warned him of witches, comes face-to-face with one. She turns him into a mouse, and he must engage in a plan to destroy the world's witches before they are able to carry out their evil plot to get rid of children everywhere. An American Library Association Notable Children's Book, In a Dark, Dark Room is a collection of short stories appropriate for young children and early readers. The "I Can Read" book is written by Alvin Schwartz with illustrations by Dirk Zimmer. Some of the stories included in the book tell tales of a graveyard encounter, a pirate, a ghost, and long pointy teeth. Written by Mary Pope Osborne, The Magic Tree House Series are New York Times bestsellers and have even inspired a Broadway musical. In the books, siblings Jack and Annie travel in a magical tree house to help Morgan le Fay escape from an evil spell. During their adventures, Jack and Annie encounter dinosaurs, pirates, serpents, wars, natural disasters, and any number of scary mythical and natural creatures. While the books are light on the scary parts, they are thrilling and have edge-of-your-seat adventure with lots of cliffhanger chapter ends. These books are appropriate for kids in fourth through seventh grades. They may be read-aloud books or chapter books with age-appropriate themes and reading levels. A novella by Neil Gaiman with illustrations by Dave McKean, Coraline has won multiple awards including a Bram Stoker Award, a Hugo Award, and a Nebula Award. The book tells the story of Coraline, a young girl who has moved to a new apartment with her building that exists in parallel universes. Coraline's parents and apartment exist in the parallel universe, but the mother there, Other Mother, kidnaps and imprisons Coraline's parents along with several ghost children. 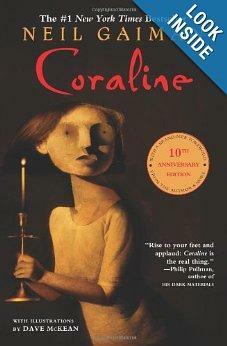 The book tells the tale of Coraline's journey to rescue her parents and the ghost children from Other Mother. Written by John Bellairs and illustrated by Edward Gorey, The House with a Clock in Its Walls has received several awards including the American Library Association Children's Books of International Interest Award and the New York Times Outstanding Books of 1973 Award. After the death of his parents, Lewis Barnavelt moves in with his uncle Jonathan, who happens to be a wizard. Jonathan's house has a spooky clock in its walls. The clock was placed there by a couple of evil magicians who were plotting to end the world. The clock is hidden, ticking in an attempt to align the world magically in order to bring about Doomsday. It's up to Lewis to make sure that doesn't happen. Winner of Hugo and Newberry awards, Neil Gaiman's The Graveyard Book is a novel for middle grade readers. The novel tells the tale of Bod, a boy raised in a graveyard by werewolves, ghosts, and other scary creatures of the night. 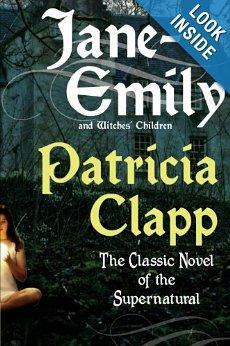 Written by Patricia Clapp, Jane-Emily is a classic ghost story that Harper Collins calls, 'one of the most adored ghost stories of all time.' It tells the story of an orphaned girl, Jane, who goes with her aunt to visit her grandmother's spooky New England mansion. There, Jane is haunted by the ghost of Emily, an angry and mean child who died many years before. The Goosebumps Series books by R.L. Stine have sold over 300 million copies throughout the world. The very first Goosebumps book, Night of the Living Dummy, tells the tale of two sisters and two ventriloquist's dummies. Fiercely competitive, the two sisters each try to outdo one another with their acts. Unfortunately, one of the dummies, Mr. Wood, comes to life, and the girls have to escape it's evil ways. The story ends with a startling plot twist that will be sure to give middle-grade readers the shivers. There are few who haven't heard of the Harry Potter series by J.K. Rowling. The titles and series have won numerous awards, including the Galaxy British Book Award, the Edinburgh Award, and the Hans Christian Andersen Literature prize 2010. The books follow the adventures of wizard Harry Potter as he grows up, discovers family secrets and eventually overcomes Lord Voldemort. The books grow up with Harry, and become increasingly scary - culminating in a nail-biting battle. These are just a handful of the many wonderful scary books for kids. By finding engaging books like those above that enthralls them, young readers are encouraged to make reading a lifelong habit.